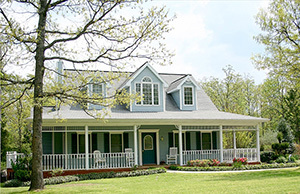 Little Rock Property Management, Little Rock Property Managers, Little Rock, AR Property Management Companies. Blissard Management & Realty, Inc. strives to provide personalized professional management services that fit your specific needs, and works with you to achieve the best possible return from your investment. Whether you own one property or many, our goal is to provide comprehensive and professional services in order to relieve you of the burden of managing your own rental properties. 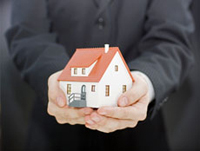 With Blissard Management & Realty, Inc. you can experience all the benefits of ownership without the hassles. The Benefits of using Blissard Management & Realty, INC.
With our detailed financial reporting tools, it's never been easier to keep tabs on your investment. A monthly financial statement to stay in tuned with your investment’s performance. Little Rock is the capital and most populous city of the U.S. state of Arkansas. It is also the county seat of Pulaski County. It was incorporated on November 7, 1831, on the south bank of the Arkansas River close to the state's geographic center. The city derives its name from a rock formation along the river, named "la petite roche" by the French explorer Jean-Baptiste Bénard de la Harpe in the 1720s. The capital of the Arkansas Territory was moved to Little Rock from Arkansas Post in 1821. The city's population was 193,524 at the 2010 census. The six-county Little Rock-North Little Rock-Conway, AR Metropolitan Statistical Area (MSA) is ranked 75th in terms of population in the United States with 724,385 residents according to the 2013 estimate by the United States Census Bureau.